Visit our second-floor AMG® showroom, where Mercedes-Benz AMG® craftsmanship is on display. Flip through the electronic brochures to mix and match and virtually create your perfect vehicle. 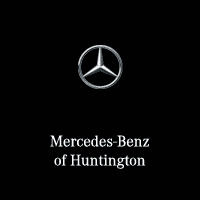 Mercedes-Benz of Huntington is always working to improve your buying experience by keeping our prices competitive and ensuring the options you want are available. While new and Certified Pre-Owned vehicles do arrive every day, our salespeople understand the importance of every detail and will work with you to help you take home your ideal automobile. We recognize the strength in shopping local, buying local, and make a great effort to support and sponsor many local events and businesses. You could go other places, but our community benefits and thrives when you join the Mercedes-Benz of Huntington family. One of six family-owned dealerships that make up the Competition Auto Group, Mercedes-Benz of Huntington is founded on three generations of car business and customer service experience.